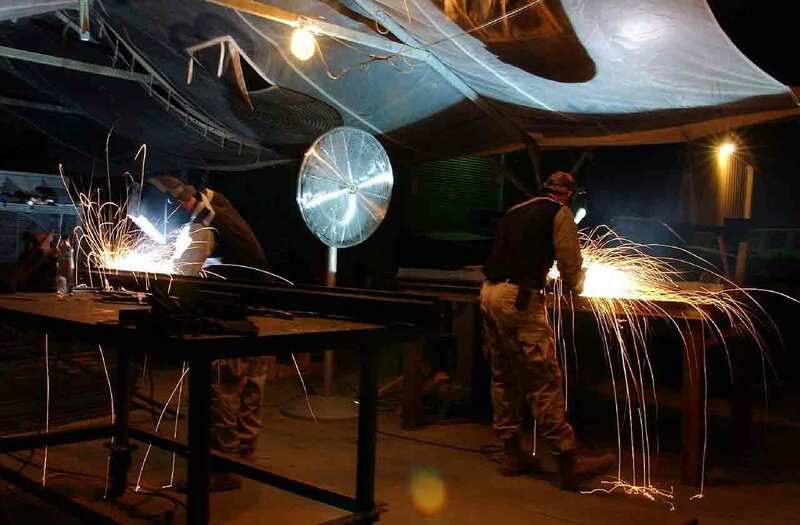 Welding involves working in dangerous environments where sparks are flying from an arc and heavy objects are abound. We all know the value of a welding mask, gloves and a protective apron, but what protects your feet? 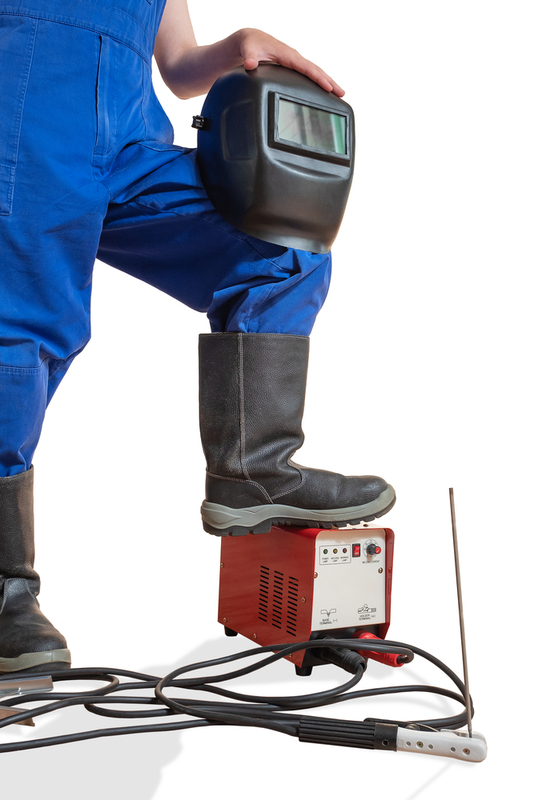 Which features should you look for in the best work boots for welders? Let’s take a look at our top picks and find out all you need to know. Moisture-wicking fabrics, padded ankle support and a comfy insole make these boots some of the most comfortable available. A full-grain leather outer ensures your feet are protected and is waterproof, durable and fire-resistant. Waterproof and impact resistant with a heavy-duty sole, the Timberland PRO 53530 boots will help keep your feet protected. An 8-inch metatarsal guard protects from the very tops of your feet, without sacrificing comfort. A full-length leather upper on these boots is both waterproof and fireproof and will protect your lower legs. A PVC midsole provides shock absorption, while steel toe caps ensure that your toes are protected too. Instead of a bulky outer metatarsal guard, these ankle-high boots feature one that’s built in. The boots are contoured to match the curves of your feet for more comfort, and feature a steel shank for support. Meets ASTM safety standards. Steel Safety Toe-Meets I/75 and C/75 impact and compression ASTM F2412-11 and F2413-11 safety standards. The Caterpillar Assault boots features a rugged leather upper with a metal lace-up front for a secure fit. 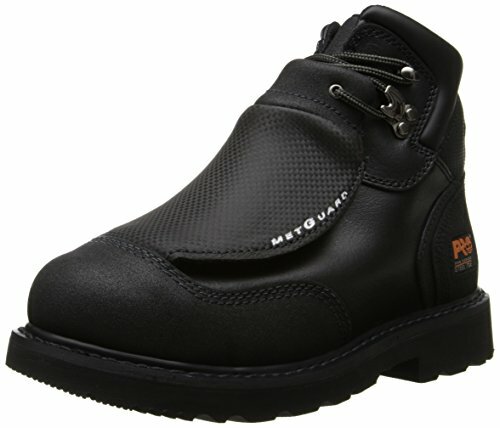 A met-guard and steel toe cap protect against potential hazards, with a lugged rubber sole for traction and grip. 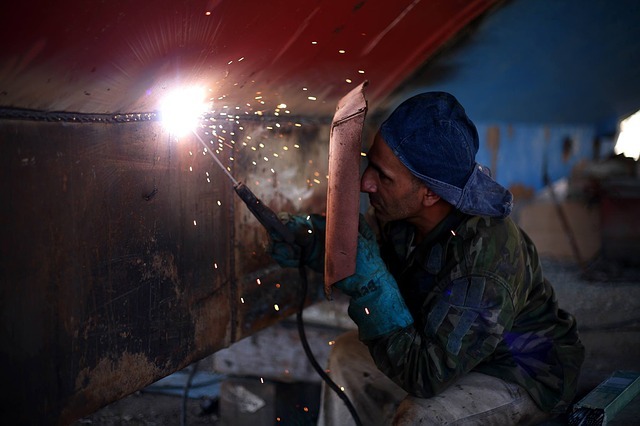 A welding workshop can demand more protection than many other industrial areas. The presence of dangerous chemicals, errant sparks and potentially heavy materials poses a threat to your whole body, including the feet. Welding can also be a long day of hard work, and comfort can be just as important as protection. Here are our top picks for the best welding work boots. Who’d have thought that Dr. Martens made great work boots in addition to their iconic fashion range? These are some of the most comfortable boots on the market, that are durable and offer protection for your feet too. The Ironbridge boots feature a steel toe cap and padded steel metatarsal guard, for protecting your foot if something heavy should fall. An anti-slip rubber sole is non-conductive, which will protect you from any open electric circuits around your work area. The soles are oil resistant and feature a non-skid tread, to ensure you stay steady on your feet. The upper parts and the sole have been heat-sealed and stitched together so there is less chance of them separating. A moisture-wicking fabric liner helps keep your feet cool all day. Extra cushioning from a padded ankle and removable insole provides comfort and stability. The extra insole can also be removed if your feet need more breathing space. Available in either black or a stylish brown color, the extra features make them a popular choice with many welders. This video, from ManlyTexan, looks at some features of these Dr. Martens boots. Leather construction with double stitching for durability. Water resistant and features a ballistic mesh padded collar. Slip resistant with electrical hazard protection. Metatarsal guard and steel toes for full foot protection. Heavy boots at nearly 3 pounds each. Sole can be too soft and will melt in places if stood on extremely hot surfaces. These Dr. Martens are durable work boots which can stand up to the most demanding of work environments. The Ironbridge MG ST steel-toe boot offers all the necessary features to protect from accidental damage to the feet. They are also some of the most comfortable work boots around. 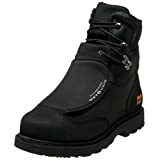 These best welding boots from Timberland come with a host of features designed to exceed safety standards of the ASTM. The boots are also very comfortable and feature extra ankle protection in a higher than usual cut at the rear. Important components of any good work boots for welders include the metatarsal guards. A superior 8-inch met-guard offers maximum protection for the metatarsal bones of your feet and the inevitable sparks of welding. The met-guards are asymmetrical and hinged to protect all the way down your foot, even when bending or squatting. Ever-Guard™ leather, used for the top construction, is waterproof, will protect from abrasion and is also heat resistant. Kevlar stitching adds to the durability and protects from sparks. 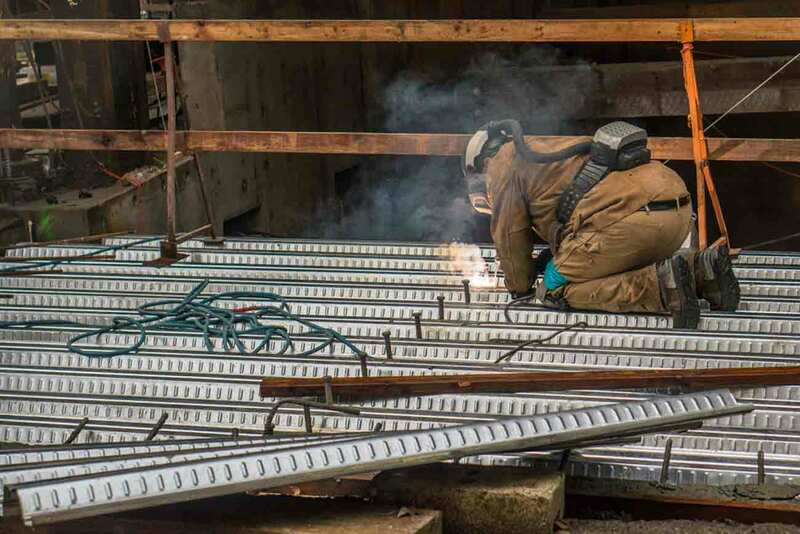 Steel toe caps are spacious and comfortable, while meeting the ASTM standards for heat and impact. 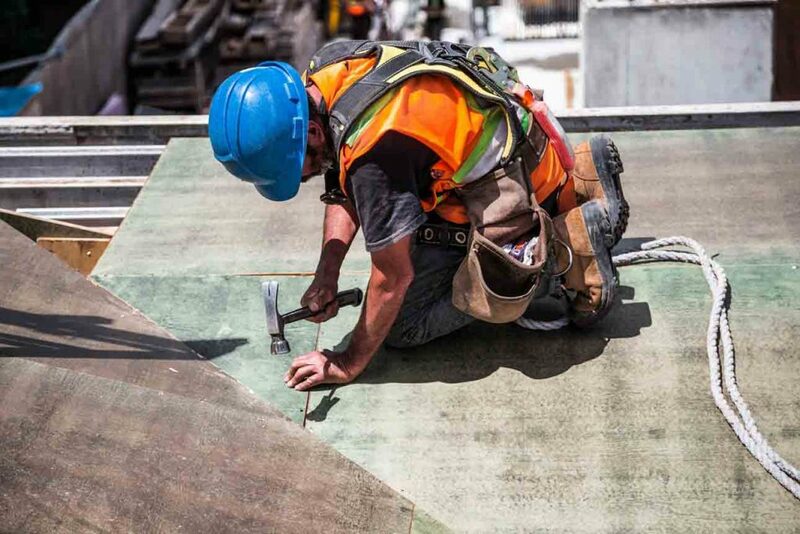 A rubber sole is abrasion, slip, and oil resistant—ideal for working outdoors. Being a larger boot, they weigh considerably more than similar ankle-high boots. The weight may not seem as much as they cover up to your lower calf with the raised ankle support. However, many users have complained of leg and ankle fatigue—they may not be the best boots if you need more mobility. Ever-Guard™ leather is claimed to be up to 10 times stronger than traditional leather. Waterproof, abrasion and heat resistant. Fire-resistant stitching and heavy-duty laces. 8-inch anatomically designed metatarsal guard fits the natural contour of feet for added protection. Comfortable suspension technology to prevent foot fatigue when working for longer hours. Heavy—wearing these boots will certainly strengthen your leg muscles. Stitching at the back has been known to come loose in just a few months. 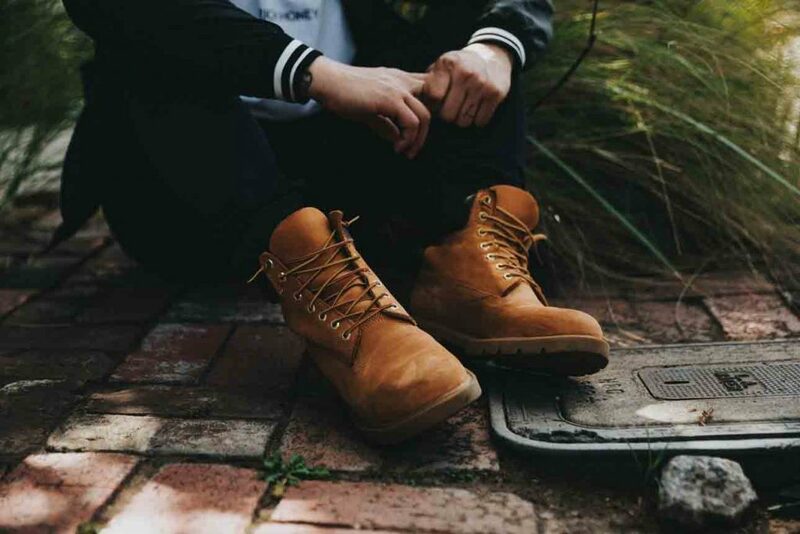 With an extended outer metatarsal guard, extra ankle protection and a comfortable suspension system, these Timberland boots offer protection from every direction. A super tough leather, with fireproof stitching, ensures they are suitable for the heaviest of welding tasks. If you really don’t like the idea of laces, the Caterpillar Revolver boots can be an alternative. There’s nothing worse than a lace coming undone as you work, or even burning out as you weld. These calf-length boots offer the necessary protection without sacrificing comfort. The uppers of the Revolver slip-on boots are made with a full-grain leather which is both waterproof and fireproof. Featuring Goodyear welt construction, which has become the gold standard for the footwear industry, the boot is robust and durable. There’s no metatarsal guard, although, with no laces to potentially catch fire, you could argue they don’t need one. Steel toe caps are included in the boot, which offers protection to the lower part of the foot. A PVC midsole offers shock absorption for a more comfortable boot over long working hours. Where you do get the extra protection is all the way up to your calves—something which ankle-high welding boots can’t offer. Finger loops on the side of the boots make sliding them on or off very easy, too. Waterproof and fireproof leather upper. Goodyear welt construction for added durability. Electrical, heat and slip-resistant sole. Offers more protection for your lower leg. No laces which could potentially catch fire. Lightweight compared to many boots with met-guards. Easy to slip-on or off. Higher length boots like these will often take longer to break in. No extra features for comfort. Instead of being tied around your ankle, the Caterpillar Revolver boots slip on over your calves. 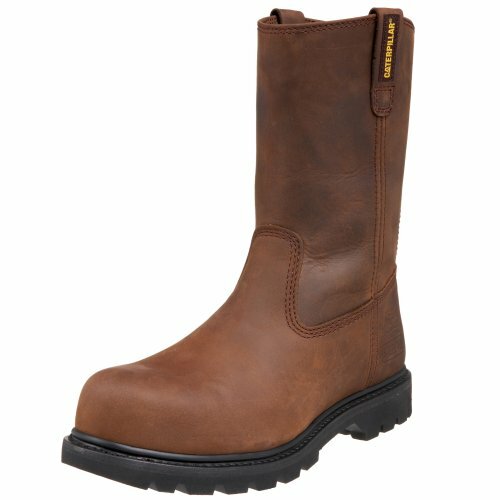 Fireproof and water resistant leather, combined with steel toe caps, offer plenty of protection. Plus, having no laces, this is one less thing to catch fire. The Timberland PRO 40000 boots have been designed to protect all welders, both male and female. They’re among the few work boots for welders we found which featured women’s sizes in the size chart. Like the 53530 Timberland boots we looked at earlier, they are made from Ever-Guard™ leather. Designed for abrasion resistance, these boots will resist wear and tear in even the most rugged work conditions. The leather construction also makes the boots waterproof and heat resistant. Steel toe caps provide impact protection, with the hinged metatarsal guard protecting the upper part of feet. A rubber outsole is ridged for further bumper protection, and is slip, heat, oil and abrasion resistant. An integrated steel shank and anatomically contoured insole help to support your feet and keep them more comfortable. The asymmetrical met-guards also follow the shape of your feet, to allow for more agility without feeling a stiffness in your ankles or feet. The following video looks at the Timberland PRO 40000 Met Guard Steel Toe boots. Ever-Guard™ leather construction, with fireproof Kevlar stitching for greater durability. Impact absorbing polyurethane insole for less foot fatigue. 6-inch steel shaft for more support. Completely slip resistant and electrical hazard protection. Also available in women’s sizes. Some user complaints about stitching failing over a short period of time. Heavy duty boots mean heavy boots. Lace support can rip off if pulled too hard. Another solid work boot from Timberland—this time for both men and women welders. The boots offer maximum protection, with steel toe caps and a hinged metatarsal guard for falling objects. These durable boots will still look new after several months of heavy use. This Assault boot from Caterpillar is a traditional ankle-high boot which feels extra secure and supportive to wear. Your ankles are supported by a padded collar at the top of the boots, which add comfort rather than rubbing. Metal laces used on the front of each boot feel secure, with no need to worry about them slipping or working themselves loose. Rubber soles on the boot prevent slipping, with excellent traction in even the wettest of conditions. The rugged upper is made with full-grain leather to provide water and heat resistance. Double stitching on the leather makes these boots durable for the toughest of workplaces. ASTM-approved metatarsal guards have been designed on these boots to protect your feet from compression or impact. For further security against falling objects, the met-guards have also been made puncture resistant. A steel toe and EH protection both meet ASTM standards, ensuring you will be protected as you work. 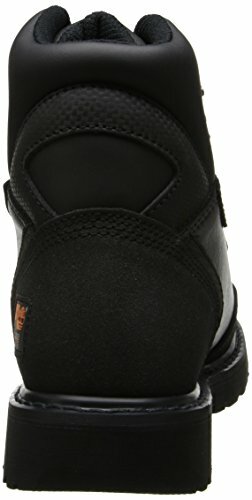 The Climasphere lining and insole of this CAT boot means you can wear them all day, with your feet still feeling fresh. The breathable lining makes sure your feet are comfortable in any temperature. Goodyear welt construction with double stitching and metal lace-ups. Slip-resistant rubber outsole provides grip and traction. 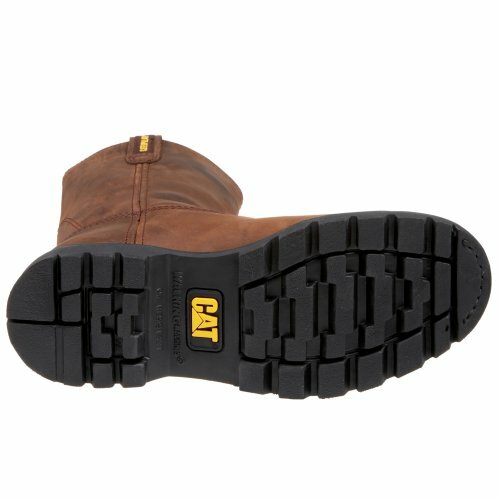 CAT met-guard protects from impact, resists chemicals and is puncture-resistant. Climasphere lining to keep your foot comfortable and dry in all conditions. Outer steel metatarsal tongue can be stiff and uncomfortable. Position of met-guard can cause discomfort when crouching or squatting. Extra protection means heavy weight. Everything you expect of a boot from the Caterpillar brand—durable, strong and extra protective. The specialized lining and insole ensures these boots are comfortable enough for all-day use. ASTM-approved steel toe caps and met-guard provide protection to your foot from impact and chemicals. There are several factors you should consider when choosing your welding work boots. The best work boots for welders should have built-in safety features which will protect you as you work. Whether you are a professional welder or a hobbyist, the correct boots can make your next project a pleasure rather than a misery and, more importantly, safe. One of the biggest hazards you will face as a welder is extreme temperatures. 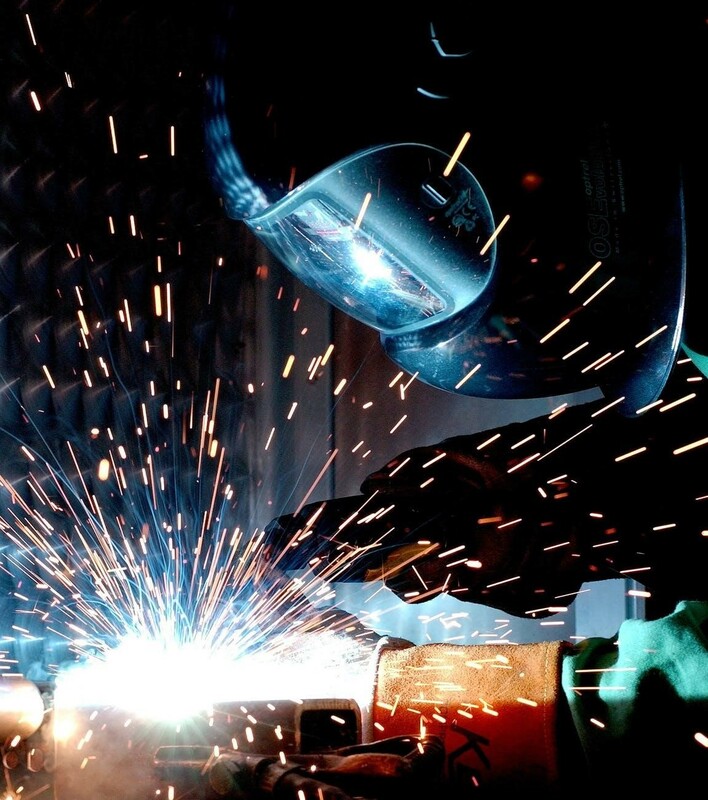 Whichever type of welding you are going to be performing, you’re likely to be dealing with equipment that often reaches 1000 degrees or hotter. Most safety boots will be made of leather, which offers the most protection. Cheaper, synthetic materials will shrink and deform after just a few minutes exposure to the high temperatures. Try to choose a full-grain leather which will offer the ultimate protection barrier between your foot and the welding torch. Leather may not be totally impenetrable but it will allow you to take the boot off before it burns through. No matter how rugged a boot is, you should always try to choose the smoothest finish, so molten metals will slide off. Additionally, leather will provide your boot with some level of water resistance. Another factor which will affect how much protection the boot offers is the construction of the boot. We always recommend you steer clear of boots with large tongues, eyelets or any other open spaces molten meal may get stuck in. Pay attention to the quality of the stitching on any potential boots. Naturally fire-resistant materials like Kevlar will protect both the longevity of your boots and your feet. The best work boots for welders use a welt construction. A welt consists of a piece of leather which is placed between the sole and the upper of the boot where the two parts attach. Double stitching on a welt will make sure your boot is rugged and ready to take on any heavy duty welding job. The sole of the boot can be attached directly in some cases. A mold is connected to the upper before being injected with hot rubber, this creates the outer sole. Although these boots can normally be comfortable and a little cheaper, they tend to be less durable. Heavy objects like gas tanks, welding carts or larger pieces of metal, can often fall or roll onto a welder’s foot. The correct protective footwear will use either steel or composite toe caps to protect your feet. A 2011 study by Foot Ankle Int. found steel toe caps were an effective way of preventing fractured bones in the foot. A steel toe cap should cover the full length of the toes, from the tips to the natural bend of the foot and beyond. An alternative to steel toe welding boots can be composite toe caps, which don’t conduct electricity but still offer protection, meeting OSHA standards. Composite toe caps will also be lighter and more comfortable to wear. A welding boots metatarsal guard will protect your feet from falling objects and your laces from potential sparks. A metatarsal guard can be made of steel, plastic, aluminum or other composite materials. A sound no welder wants to hear is the breaking or sizzle of a lace as a hot spark drops on it. If you wear boots which use laces, you will need a metatarsal guard, or met-guard, to protect the laces. 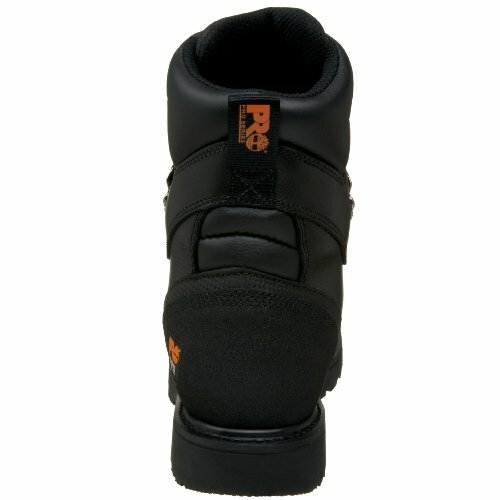 Met-guards should cover the entire dorsal bone of a foot for ultimate protection. If the guard meets ASTM standards, it will protect your feet for an object of 50 pounds falling from 18 inches. This test only covers met-guards integrated into boots; it doesn’t apply to aftermarket guards. The soles of the best welding work boots will play an important part in how safe you are at work. Thinner soles will be susceptible to puncture from the many hazards which often litter industrial environments or workshops. A thick rubber sole can also provide more cushioning and shock impact for your feet. Any sole used for welding should be slip resistant, able to cope with chemical spills and also be heat resistant. 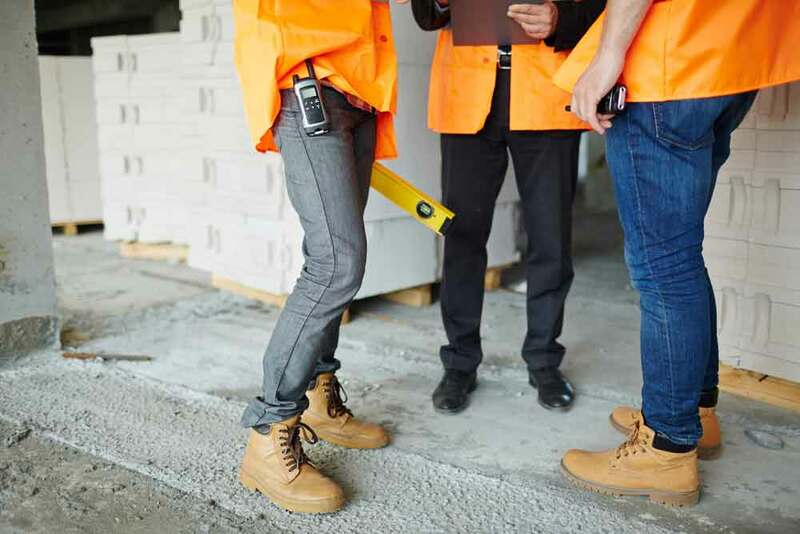 According to the US Bureau of Labor Statistics the number of fatal work injuries from slips, falls or trips went up to 849 in 2016, an increase of 25 percent since 2011. You won’t want your boot sole melting on you, either! What good are work boots if they are a pain to wear, literally? Always try to look for comfort features specific to your needs. If you intend to wear the boots for a long period or all day long, padding and a cushioned insole will help avoid foot fatigue. If you do need a little more support, look for boots which feature a contoured footbed, raised arch support and an internal shank, to keep you more stable. Steel toe welding boots can be heavy if they feature larger steel met-guards and toe caps. A boot which doesn’t fit or is too uncomfortable will mean you feel the effects of work after you finish the job. Laces or No Laces, Which Are the Best Work Boots for Welding? It is crucial as a welder that you don’t walk around with normal laces which are exposed. One option is to use rawhide or Kevlar laces which are fire resistant and will last longer. A welding boot’s metatarsal guard will cover your laces and protect you from getting splatter in your boot. Slip on boots can be an alternative choice if you want to avoid the risk of burning laces. They can be quick to put on or take off and often cover your calves from sparks or molten metals. You don’t need to worry about exposed gaps in the boot, but they can be less comfortable and offer little support. For the extra security and support, however, we prefer lace-up boots as a rule. In fact, many welding companies often specify that you must wear lace-up boots. Do Welders Need Non-Conductive Boots? Non-conductive or EH (electrical hazard) boots, are normally recommended for welding. EH footwear is designed to safeguard the worker from open electrical circuits up to 600 volts. 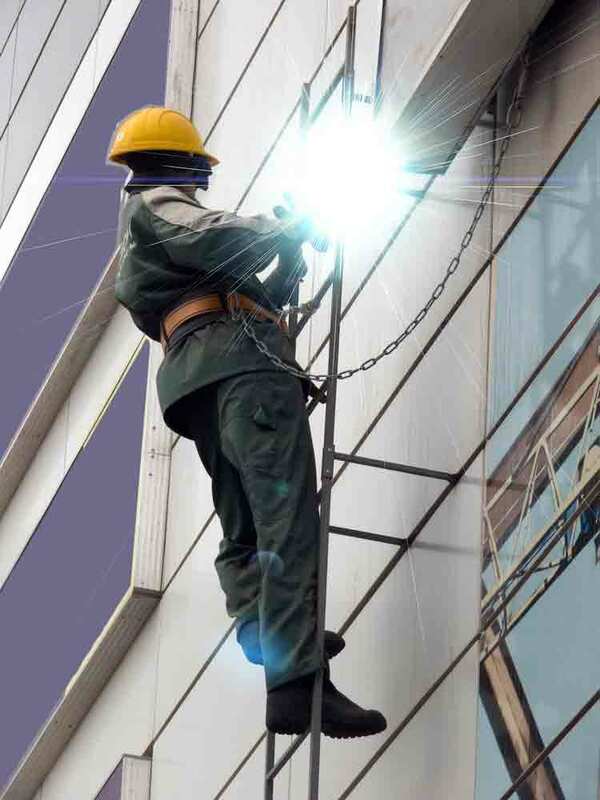 With welders using controlled electricity to perform their work, the protection from electrical shock, which EH footwear provides, is an extra feature you should look for. Should Welding Boots Always Feature Steel Toe Caps? For commercial welders, the answer is a resounding yes. They may be heavier and less comfortable to wear, but it’s better than having broken toes. The wearing of steel toe cap boots is compulsory in many industrial facilities. Welding, however, is used to describe a wide range of jobs, from pipe welding to artisan welding projects. Somebody who works with lighter materials may find they don’t need the extra protection of steel toes. At the very least we would recommend a composite toe cap in most situations, you will still be handling equipment which, if dropped, can damage your toes. Check out this video from safetybootsuk for a look at the difference between steel and composite toe caps. Which Are the Best Work Boots for Welders? 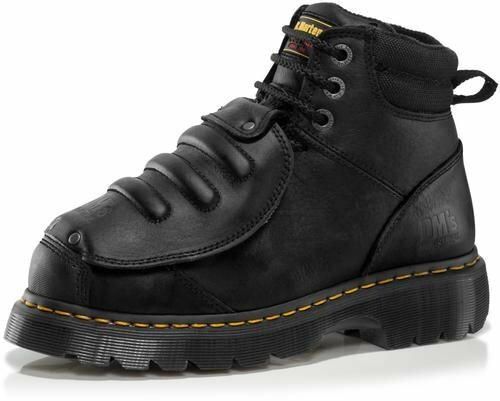 In our opinion, the best work boots for welders are the Dr. Martens Ironbridge MG ST Steel-Toe Met Guard boots. They offer a combination of safety and comfort in a durable and sturdy work boot. Welding boots are an essential component of the welder’s outfit—you never know when your feet will be victimized by heat or falling objects. 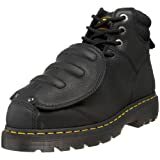 The Dr. Martens boots come from a reputable brand and will last longer than many other boots, if looked after correctly. Aren’t your feet worth that little bit extra comfort and security?